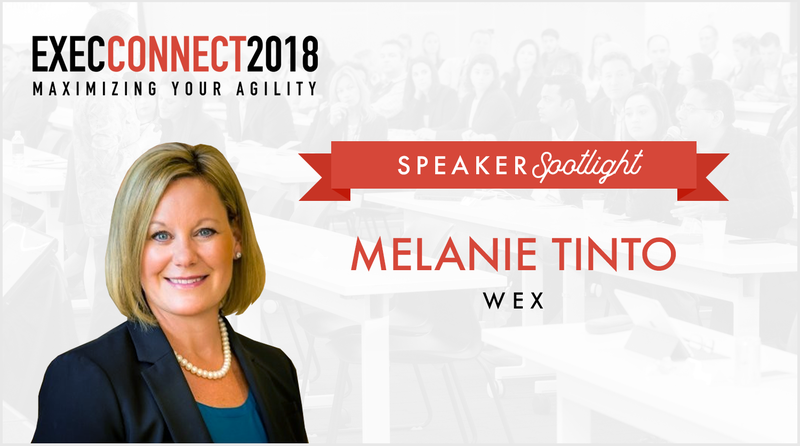 We’re very excited to welcome Melanie Tinto, Chief Human Resources Officer at WEX, as a featured panelist at ExecConnect 2018! As Chief Human Resources Officer, Melanie leverages her extensive leadership development experience to impact the WEX team. This includes leading, designing and re-engineering Leadership Programs, end-to-end Talent Management strategy design and execution, diversity programs, staffing process and practice and high potential talent development. As WEX continues to grow, Melanie will continue to leverage her near two decades of experience to foster an environment invigorated by learning and development. How does your role contribute to your organization? As CHRO, my role is to ensure that we have the appropriate talent strategy and culture to attract, develop, and retain employees globally to deliver on our business strategy. I had not intended this as my career path. Initially I was going to pursue a career in finance. I was placed into a rotational program as an early career hire and my first rotation was in Recruiting. I developed a passion for hiring and leadership development and have pursued a career that matches my passion. Learning and Development continues to evolve. The need for multiple offerings and means of learning to best meet employee needs is rapidly changing. The timeline for design and development is much shorter today and there is an openness for more “test and learn” environments and “flipped classroom approaches” than there has been historically. There is a closer partnership between the business and driving the learning agenda, and the desire for business leaders to help craft the design and provide input is a positive example of the importance of L&D. When I am not working I am most likely spending time with my family. We are a close-knit group and enjoy spending time together on multiple activities including travel, camping, and in the winter skiing at Sugarloaf! When I do have a free moment to myself, I usually have my nose in a book reading. I am looking forward to reconnecting with colleagues and meeting new colleagues. I enjoy hearing the latest trends and sharing best practices.